TUCSON, Ariz., April 24, 2013 /PRNewswire-USNewswire/ –The Association of American Physicians & Surgeons (AAPS) has filed suit today in federal court against the American Board of Medical Specialties (ABMS) for restraining trade and causing a reduction in access by patients to their physicians. 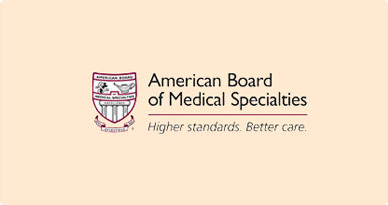 The ABMS has entered into agreements with 24 other corporations to impose enormous “recertification” burdens on physicians, which are not justified by any significant improvements in patient care. ABMS has a proprietary, trademarked program of recertification, called the “ABMS Maintenance of Certification®” or “ABMS MOC®,” which brings in many tens of millions of dollars in revenue to ABMS and the 24 allied corporations. Though ostensibly non-profit, these corporations then pay prodigious salaries to their executives, often in excess of $700,000 per year. But their recertification demands take physicians away from their patients, and result in hospitals denying access by patients to their physicians. In a case cited in this lawsuit, a first-rate physician in New Jersey was excluded from the medical staff at a hospital in New Jersey simply because he had not paid for and spent time on recertification with one of these private corporations. He runs a charity clinic that has logged more than 30,000 visits, but now none of those patients can see him at the local hospital because of the money-making scheme of recertification. There is a worsening doctor shortage in the United States, such that the average physician has the time to spend only 7 minutes with each patient. Roughly half the counties in our nation lack a single OB/GYN physician to care for women. There are long delays to see primary care physicians in Massachusetts, and about half of them are not even taking new patients. ABMS does the public an additional disservice by inviting patients to search on which physicians have “recertified” and which ones have not, despite the lack of evidence that there is any difference in malpractice rates between the two categories. ABMS should try to make money by helping patients, rather than disparaging the many thousands of good physicians who spend their time caring for patients rather than on ABMS’s self-serving recertification scheme. A recent survey by AAPS showed that only 9.5% of 167 respondents thought that “maintenance of certification is good; we should support it.” In anearlier survey, only 22% of physicians who had been through the process said they would voluntarily do it again. AAPS’s lawsuit, which was filed today in Trenton, New Jersey, seeks declaratory and injunctive relief to enjoin ABMS’s continuing violations of antitrust law and misrepresentations about the medical skills of physicians who decline to purchase and spend time on its program. AAPS also seeks a refund of fees paid by its members to ABMS and its 24 other corporations as a result of ABMS’s conduct.